Rendang is a dish that uses spicy flavored meat, with a mixture of various herbs and spices. Beef Rendang is produced through a heated cooking process repeatedly with coconut milk. The cooking process takes hours, usually about 4 hours. Up to dry and solid black. 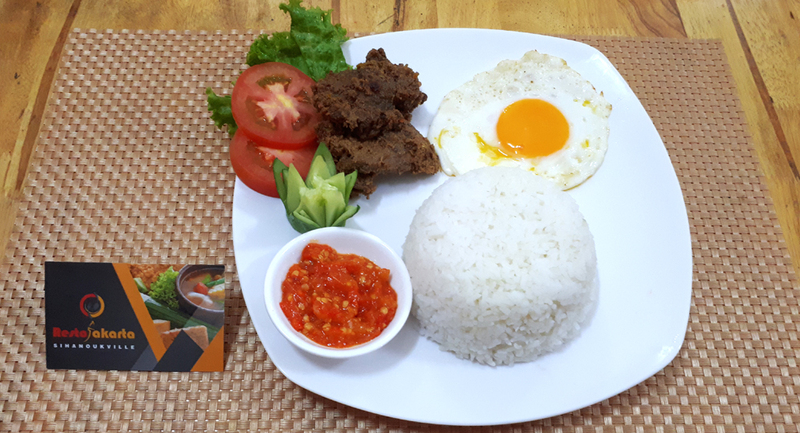 Beef Rendang is the most popular food in Indonesia.